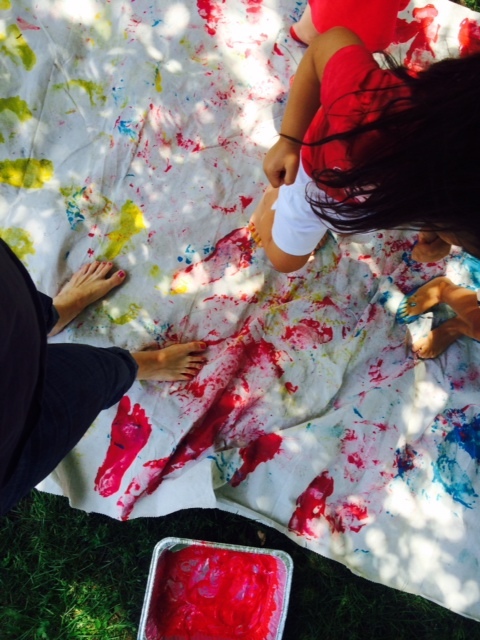 Join the Fun & Register for Art Camp! Easel Art Studio offers Summer, Winter, & Special Day Off School Camps! Join our teachers as we paint, draw, sculpt, build and create masterpieces. Even if you are new to art or a well-traveled artist, let our teachers blossom your child's fine art skills all while having FUN! Everyday we will focus on a specific subject/theme and explore a wide variety of art mediums. As part of our daily schedule, we will also allow kids to have their own creative time, reading space and free play! We look forward to CREATING with your child! 5 Full Days of Camp: December 27th, 28th, January 2nd 3rd and 4th. Our theme this year: This Winter, we will be learn & focus on 5 unique & different artists from around the world. Please note that if there is not a minimum of 4 kids enrolled for camp, we will cancel that specific day and provide you a full refund for that day or transfer your registration to another day. Camp begins at 8:30 AM, early drop off must be comunicated in advance. We understand that conflicts in schedules and traffic issues may arise. Please let us know as soon as possible if you are running late for pick up. We will happily extend your child’s day. We ask that campers wear weather appropriate clothing and comfortable shoes. Please refrain from sending your child in flip flops, as campers do get to experience outdoor physical activity daily. If your child is attending winter camp dress accordingly, we still go outside everyday when weather permits. Oxygenated brains are creative brains ;-) Our motto: Dress for Mess...Smocks are Provided! Use online coupon code SIBLINGLUV for a 10% sibling discount. WE LOOK FORWARD TO CREATING WITH YOUR CHILD! !